Description de Mormyridés nouveaux. Récoltés au Congo Belge par le Dr. Schouteden p. 7. 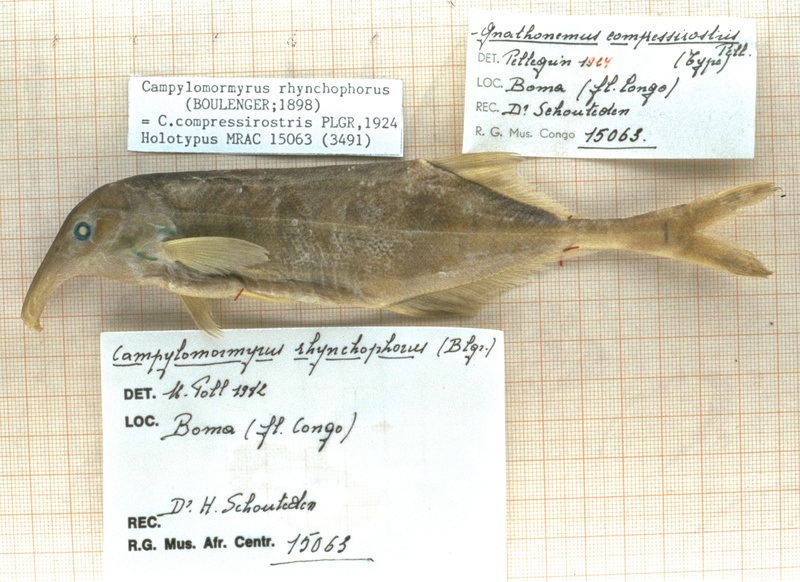 Holotype: MRAC 15063; Reported as synonym of C. rhychophorus by Gosse 1984 & Catalog of Fishes 2015, but considered valid by Feulner et al. 2007. We provisionally regard this species as valid. Mouth of Congo River at Boma, Democratic Republic of Congo.